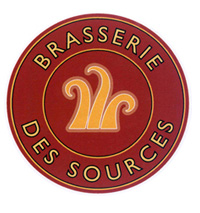 Formerly St. Amand, La "Brasserie des Sources" (Springs Brewery) was born because of the “love at first sight of” of Gerard Depardieu during the shooting of Germinal movie. He wanted to thank the exceptional friendliness of Northern France inhabitants so he decided to offer them a new brewery and its beers. The Brewery is modern and efficient, equipped with high-tech machinery. It specializes in fermentation in bottle and produces a large range of brands. The flagship brand is Abbatiale, which represents the impressive Abbey church tower located in the watering place of "Saint Amand les Eaux"; the town of the brewery.